just east of Shepherdsville, Kentucky. 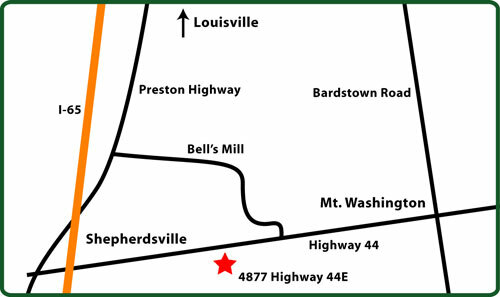 We’re just a short drive from Louisville, Bardstown, Mt. Washington and Taylorsville, so come see us!